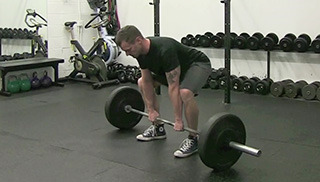 The medium stance deadlift is a modified version of the sumo deadlift. The medium stance deadlift is similar to the width of a back squat and is recommended for taller people or those at risk of low back injury. The weighted glute bridge is a beginner level lower body exercise that targets the glutes and hamstrings. 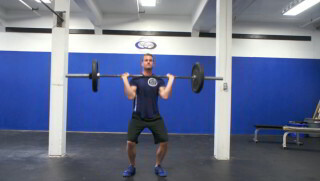 The muscle clean is an explosive barbell exercise that builds explosive power and strength. 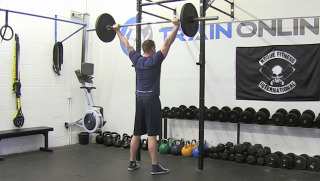 This exercise is suitable for intermediate to advanced lifters. The sumo deadlift is a lower body strength exercise that targets the glutes, hamstrings and lower back. The barbell bicep curl is an intermediate upper body exercise that targets the biceps. 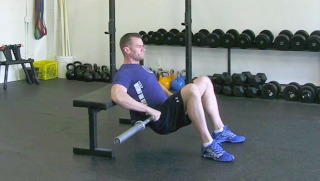 The barbell glute bridge is a beginner level lower body exercise that targets the glutes and hamstrings. 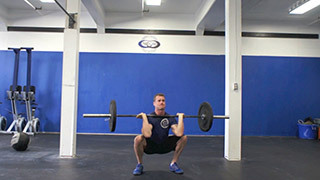 The barbell thruster is a full body exercise that targets the legs, shoulders and core. This is a challenging exercise that takes a high level of skill and mobility and is suitable for intermediate fitness levels. 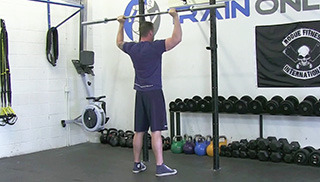 The barbell push press is an intermediate upper body exercise that targets the shoulders. The barbell deadlift is an excellent compound exercise that targets the glutes, hamstrings and lower back. 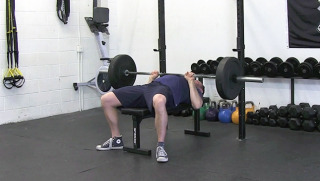 The barbell military press is an upper body strength exercise that targets the medial and posterior deltoids and the entire core.